No matter of size and weight, including power hungry HD and 3D cameras. Redesigned to be at the latest and highest standards. D-Tab/Lemo/BNC connectors for power, tally ,HD-SDI (customized wiring available). USB power outlet for tablets (teleprompter) A built-in red line laser allows easy adjustment for the RIG-post upper to lower base. The laser marking line on the floor is also very useful for the „Focus puller“. 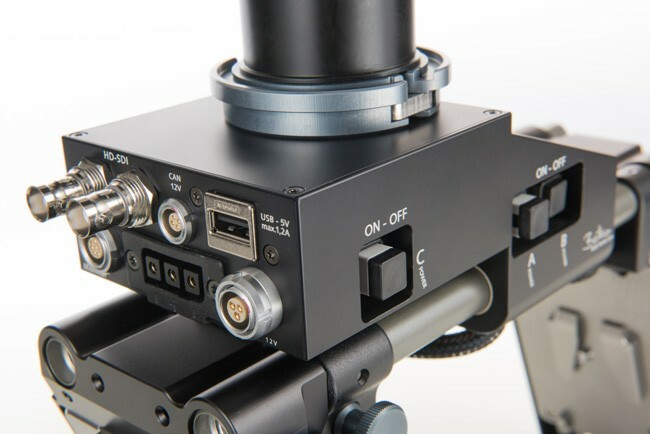 Frictionless self-centring gimbal with integral handgrip and no-tools adjustment. Stainless-steel aircraft bearings. 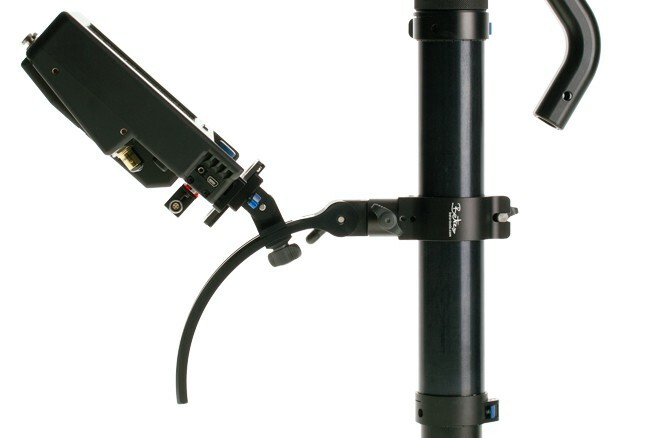 The 2x telescopic post can be quickly extended from 19“ (50 cm) to 33“ (85 cm). The 4x telescopic post can be quickly extended from 29“ (75 cm) to 69“ (175 cm). Permits lens heights from floor to ceiling. Specially designed in-post wiring for HD-SDI, power, and other functions, customized wiring on request. Safety post clamps. No-tools handling. 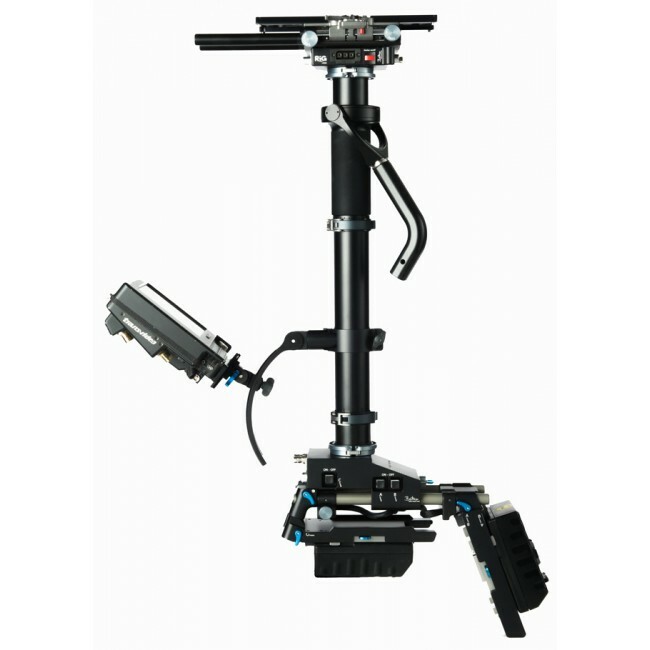 for dynamic balance or for quick change of camera tilt angle. 12V/24V power switch allows a wide range of applications between 1 up to 3 batteries. Various battery systems V-mount, PAG, Anton Bauer are optional. 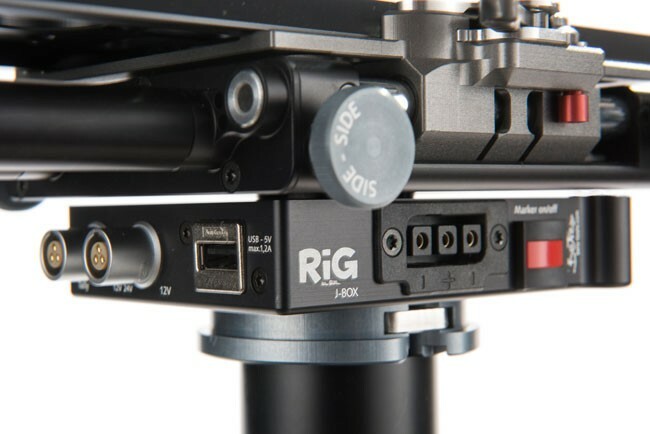 The base features power and HD-SDI video outlets are Lemo, D-Tab, USB connectors. 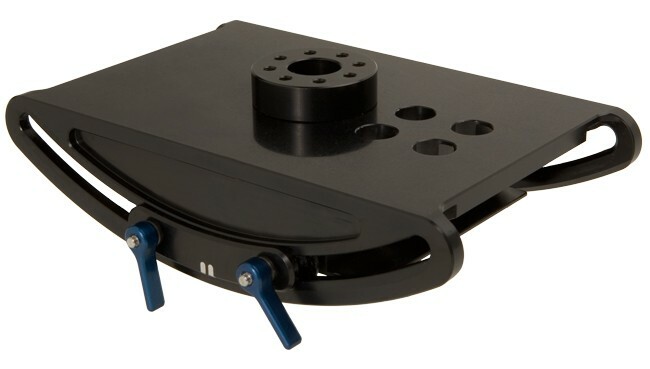 90° battery adapter allows to operate a wide range of front heavy 3D and HD cameras. We deliver all standard cables and also customized cables on request.